As The Crow Flies… How Do Birds Find Their Way Around, Anyway? Whenever we’re out riding in the Jeep with the top down, I am always fascinated whenever a bird flies directly overhead. Recently, I learned how birds find their way around when they’re flying up in the air. Do you know? Birds find their way around using traditional roads, highways, and other landmarks. I, and a number of zoologists, happen to find this quite remarkable. 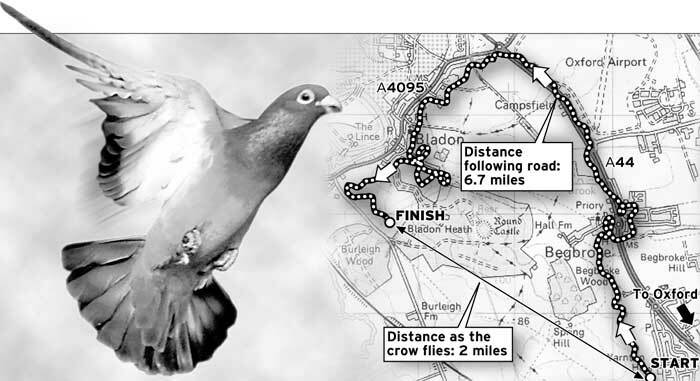 Zoologists now believe the phrase “as the crow flies” no longer means the shortest most direct route between two points. They say it is likely that crows and other diurnal birds also choose AA-suggested routes, even though it makes their journeys longer.